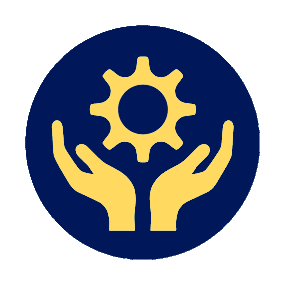 The technology is cost-effective, hygienic, time & labour efficient. 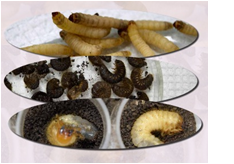 Provide constant supply of test insects ( all stages) round the year for various research purposes.This technology includes rearing diet having good shelf life and easy storage. 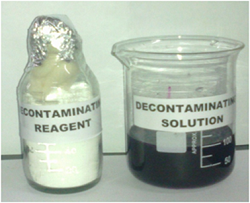 The rearing methodology is designed and tested for >25 generation. The diet used for rearing have a good shelf life, easy storage, high nutritive value, provide higher production of adults with high fecundity and at par life cycle with natural host. The diet used for rearing has a good shelf life without any degradation of its nutrients or spoilage through microbial contamination when stored at 4 °C. The rearing methodology is tested for optimal rearing conditions till > 60 generations.Provide constant supply of BSFB (all stages) for various research purposes round the year. 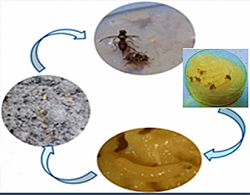 Mass rearing technology for five species of Bactrocera (Insecta: Diptera:Tephritidae) of quarantine importance viz. Oriental fruit fly B. dorsalis Hendel, Peach fruit fly B. zonata Saunders, Guava fruit fly B. correcta Bezzi, Melon fruit fly B. cucurbitae Coq, and B. tau Walker. This technology is convenient for rearing starting from egg lying till pupation and does not require separate provisions for eggs laying, larvae rearing and pupation. This technology includes a desirable semi synthetic diet for larval rearing of Bactrocera spp round the year. Diet have a consistency that allows fruit ﬂy larvae to move and feed easily, and to crawl out of the diet prior to pupation . 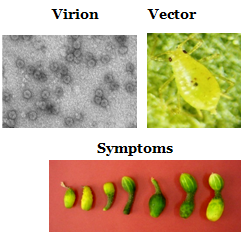 Provide constant supply of Bactrocera spp. (all stages) for various research purposes round the year. 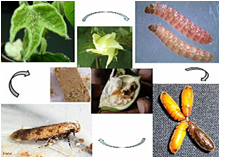 RNA interference (RNAi) has a potential and is highly specific tool for pest control.